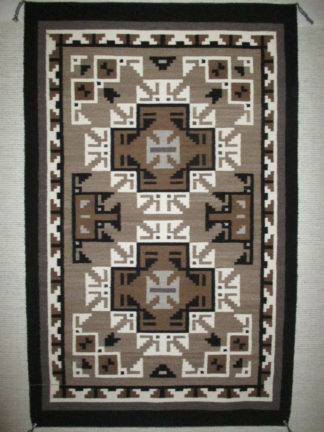 Two Grey Hills Rug by Darlene Dean. 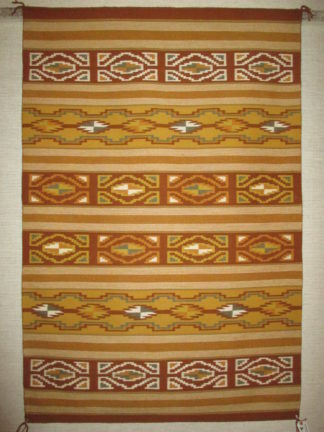 Large Size Navajo Weaving. Lovely double diamond pattern with great colors. This is a VERY well woven giant piece.